Snowberry is a great low maintenance hedging shrub that is grows anywhere from full sun to very shady making it an excellent and low cost choice for difficult sites. 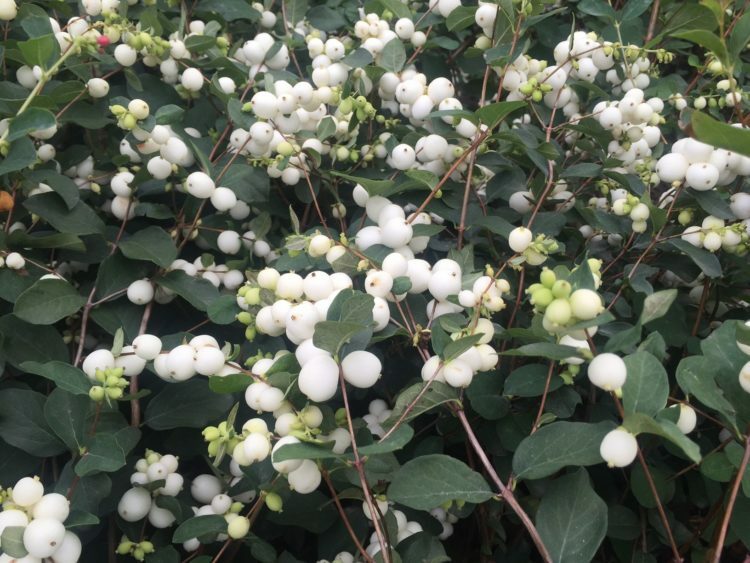 Snowberry (Symphoricarpos) is a popular plant with those looking to create an impressive display in even some of the more difficult locations. This is thanks to its hardy nature and ability to thrive in shadow and poor soil. We have ‘Mother of Pearl’ and ‘White Hedge’, two excellent varieties grown from cuttings for quality and uniformity. This hedging plant makes a great year-round presence in an outdoor space, boasting small pink flowers from July which transform into an abundance of shiny white berries during the autumn and winter months. This transformation is consistently paired with the delicate looking leaves, which help to create dense coverage. Snowberry is an excellent hedging option for shaded areas, and suits being planted in almost any well drained soils. This medium sized shrub is incredibly versatile, and a useful hedging plant for those wanting a hardy option for their outdoor spaces. Snowberry makes an excellent choice for those looking for a medium sized hedge, typically within the 5 to 7 foot range. As with all of our high quality hedging plants these deciduous Snowberry shrubs are grown at our family-run nursery in Kent. This means that we can make sure that they are in the best possible condition before being shipped out to gardens across the country. Take a look at our range of Snowberry hedging plants below, or for more information before you make a purchase contact one of our specialist team members who will be happy to assist you.